The state is termed as Devbhumi (Land of God), as it has embraced numerous important pilgrimage sites in it. Uttarakhand was formerly known as Uttranchal, and its beauty has always been intact. Deodar, oak, silver fir, chestnut, poplar, birch, rhododendron and many other species of trees are popped everywhere; even in steep slopes. This bountiful greenery is scattered all over Uttarakhand, in the hills and plains. Two most sacred rivers of India, Yamuna and Ganga (Ganges) are originated in this state. There isn’t much of an argument needed to proof why Uttarakhand is a must-visit destination; but to draw forth some solid reasons, I have listed some of the best places to visit in Uttarakhand. Haridwar is the city of pilgrims and spirituality. As it is located in the banks of River Ganga, Hindus come from different regions to take a dip and make their sins wash away. The city is also considered a mandate place for the rituals of death and birth. This is one of the seven holiest places for Hindus. 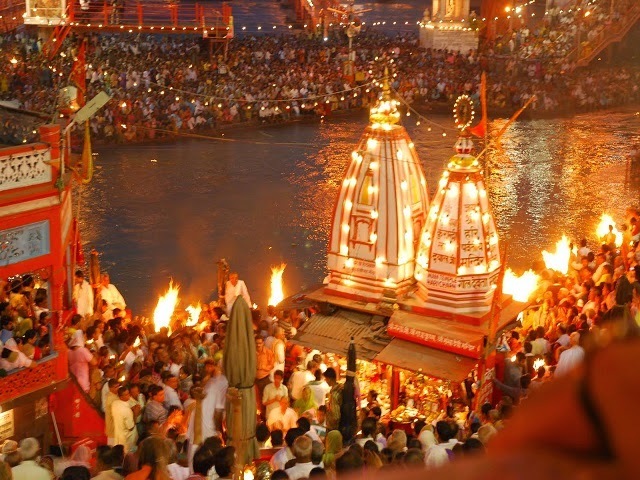 As the dusk knocks in, the river banks get illuminated and evening arti is performed; and to attend this arti thousands of people gather. There are four venues for Kumbha Mela (Grandest Fair of India that takes place once in every three year), and out of these four, Haridwar happens to be one. Jim Corbett is the oldest national park of India, well known to be a Tiger Reserve as well. This park indeed was the first one to come under The Project Tiger Initiative. Jim Corbett is located in Nainital and was named after the person who played key role in its establishment. It is home to 488 different species of flora and fauna, 50 species of mammal, 25 species of reptile and 580 species of birds. As a whole, the park covers an area of 580 km sq; comprised of grasslands, marshy depressions, rivers and hills. 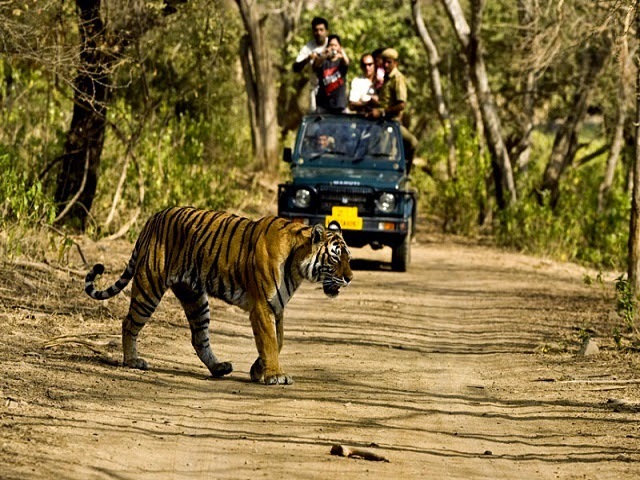 Since its inception, Jim Corbett National Park has become a wildlife enthusiast’s top interest. Rishikesh is known as The Gateway of Garhwal Himalayas and is located at a distance of 25 km from Haridwar. However, the divinity of Haridwar is living here equally, as Rishikesh too has sacred Ganga River flowing through it. The spiritual importance of Rishikesh is that people believed Lord Rama underwent penance and practiced for killing the demon Ravana. Famous bridges Lakshman Jhula and Ram Jhula are the highlights of the city. These bridges offer a magnificent view of the hillocks and the river. Over the years, Rishikesh came more into the limelight because of its river rafting activities; so today not just pilgrims but groups of adventurers too seek a visit to Rishikesh. 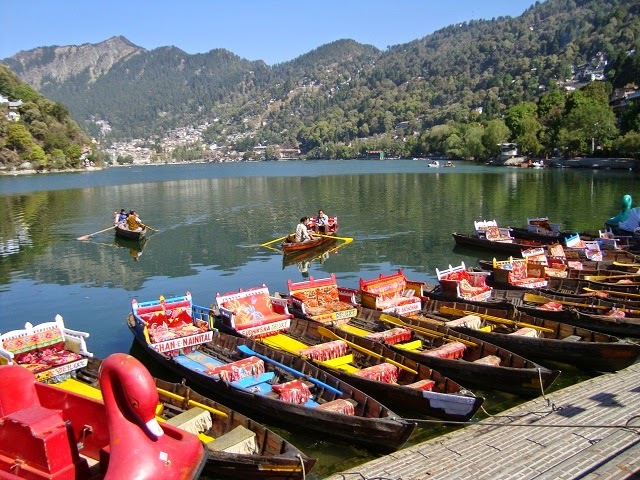 Nainital is located on the foothills of Kumaon, in an elevation of 2048 meters above sea level. This location indeed owes to the awe-inspiring view of the giant mountains with iced top. The pear shaped Naini Lake makes this hill station look even more magnificent. And boating in this clear lake is one favorite activity of the visitors. Let alone leading in tourism industry, Nainital has India’s best educational institutes as well. What adorns the city further is the British architecture, standing strongly and alluringly since decades. 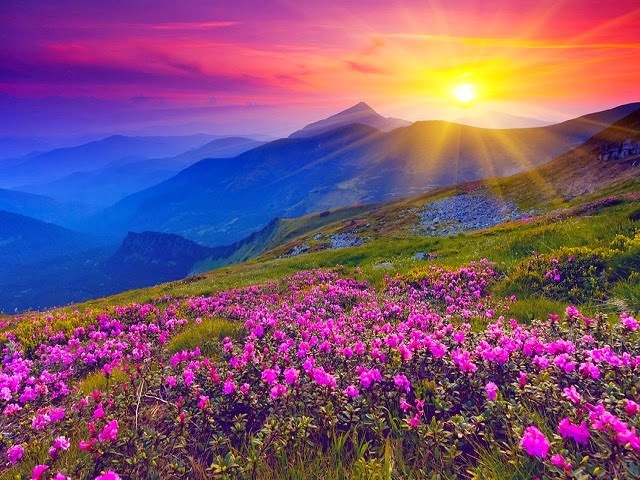 Valley of flowers has different species of flowers blooming in abundance. These alpine flowers are eye-catching. It has managed to preserve its pristine nature and has been listed as a UNESCO World Heritage Site. Located 3658 meters above sea level, Valley of Flowers is home to some of the most endangered species like Asiatic black bear, snow leopard, musk deer, red fox and brown bear. This colorful valley not only attracts the travelers but birds from faraway lands. 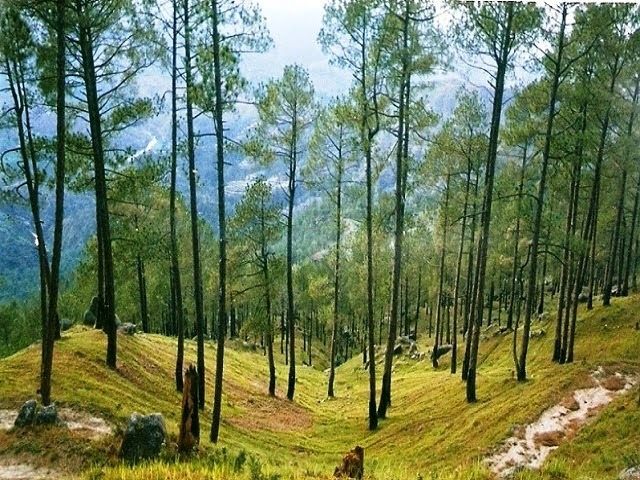 Ranikhet has served as a summer retreat for the British, and they established their headquarters of Kumaon Regiment here. It is situated at an altitude of 1869 meters and is brimming with Pine, Oak and Deodar Forests. These forests are comfortable abode of red-faced monkeys, jackals, langur, red fox, porcupine, sambar, pine marten, barking deer, leopard, leopard cat, and mountain goats. Pilgrims visit Ranikhet to have darshans in the Rama Mandir and Jhula Devi Temple. Chaubatia Garden is a retreat having plantation of apricots, peaches, almonds, chestnuts, apples and with a wide variety of Himalyan flowers. Char Dham means four sacred seats of God. And taking a tour and visiting all these four seats is considered highly auspicious. It is said a Hindu must go for Char Dham Yatra at least once in his lifetime, to attain salvation. Chhota (Smaller) Char Dham is located in Uttarakhand, Gangotri, Yamunotri, Kedarnath and Badrinath. Yamunotri is the source of sacred Yamuna River, and so is Gangotri of Ganga River. Kedarnath is one of the twelve jyotirlingas of Lord Shiva. 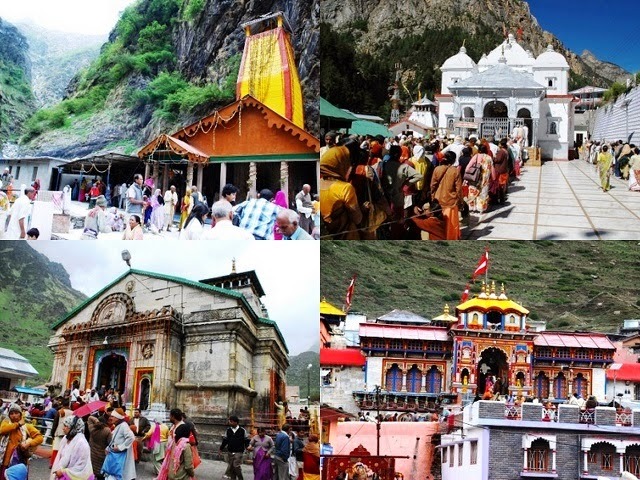 Badrinath is where Lord Vishnu is believed to exist in the form of Badrinarayan. This is a popular vacation destination of India. 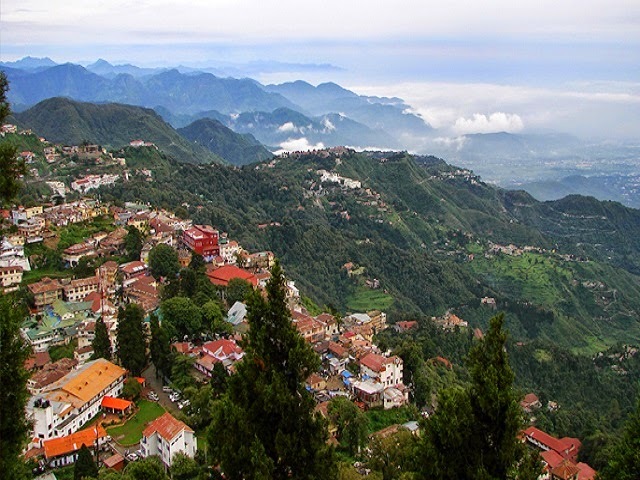 Mussoorie is located in the foothills of the Garhwal Himalyan Ranges. Apart from being a major tourist spot, this hill-station has some of the most important educational institutes of the country. Camel’s Back Road has come out to be a superstar for the tourism industry, travelers spend plenty of time walking around and getting closer to nature. The cable car rides up to the Gun Hill is yet another reason to fall in love with this beauty. People get into the cable car from Mall Road. The oldest church of Himalyas stand in the Mall Road and the oldest Tibetan Temple of India is situated in the Happy Valley. The capital of Uttarakhand, Dehradun is known as one of the “Counter Magnets” of the National Capital Region (NCR) of India. 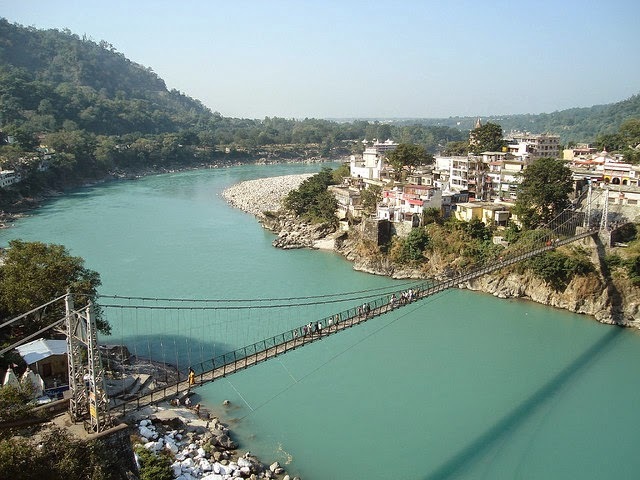 Dehradun has two most sacred rivers of India flowing through it; Ganga in the east and Yamuna on the west. It is located in Doon Valley, on the foothills of Himalyas. The city is calm and relaxed, and is still appreciably pacing up with the modern standards. With the most eminent educational institutes of the country, Dehradun has become a host to a huge number of students as well. Other than its beauty, Dehradun’s proximity with major tourist destinations (Haridwar, Mussoorie, Nainital, Auli and Rishikesh) has made its tourism activities stronger. 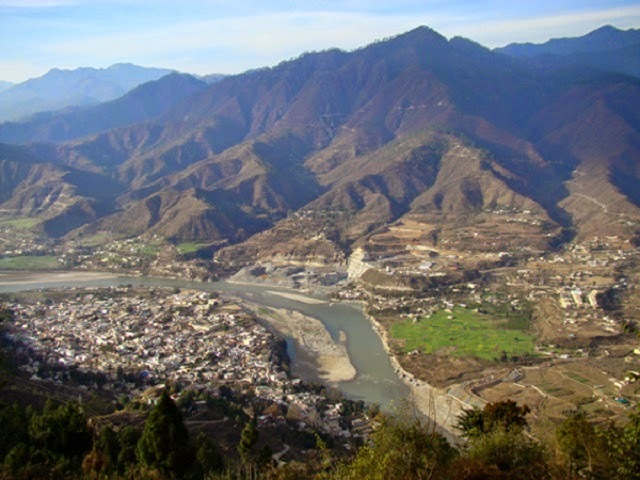 Uttarakhand’s Srinagar is situated beside the Alaknanda River, at an average elevation of 560 meters. This is the largest city of Garhwal hills and last city of the plains of Uttarakhand. Srinagar had been the capital of Garhwal Kingdom until British invasion. British re-built and modernized the city in 1931. And today it is an important destination of education and culture. In a four day festival, cultural shows are organized to flaunt its ethnicity. 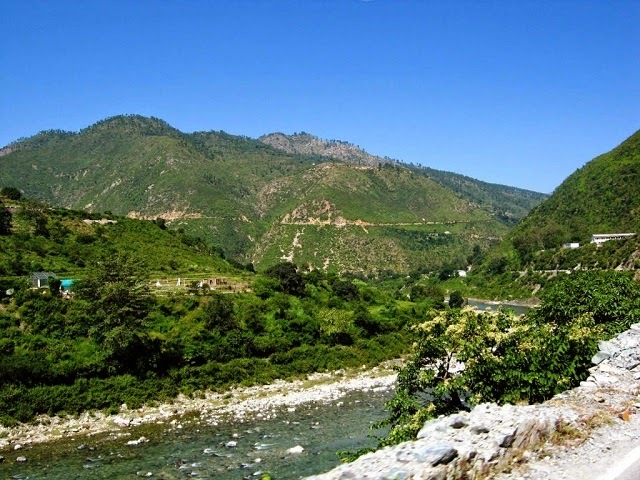 Almora was founded in 1568 and is considered the cultural heart of Kumaon. It is located at an elevation of 1651 meters, upon a ridge. Thick forests of pine and fir trees encircle the area in abundance, and River Koshi and Suyal flows across it. The city has venerated shrines like Kesar Devi, Nanda Devi, Shyayi Devi, Katarmal temple, Asht Bhairav and many others. Chand Rajas developed Almora and British adorned it further. Swami Vivekananda spent years in meditation here and appreciated its raw beauty and serenity. 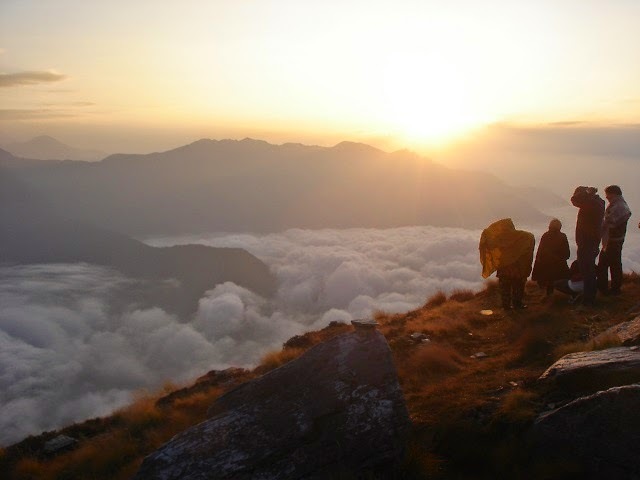 Kausani is believed to be one of the few places on earth that has incomparable beauty of its own. Mahatma Gandhi too spent his time here and wrote the commentary on Anashakti Yog. And the very place is today known as Anashakti Yog; a major tourist attraction of Kausani. A Hindi literature Poet Sumitranandan Pant was born here and this place now has special reverence and is known as Pant Museum. 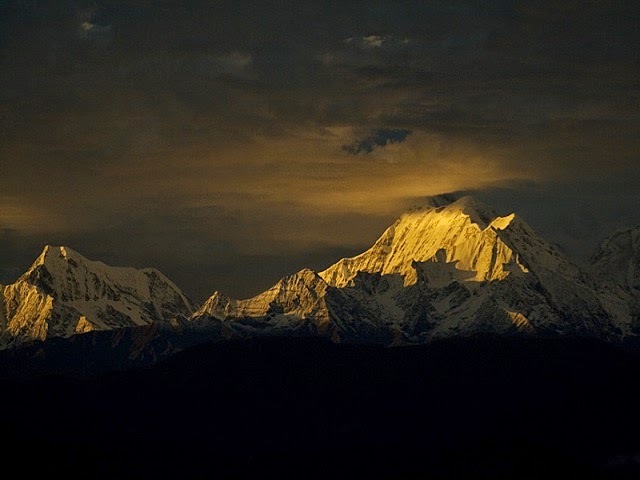 Kausani must be visited if you are hunting for sheer peace and tranquility. Panch Prayag literally means Five Confluence. This name has specifically been given to this place because of the five sacred river confluences. 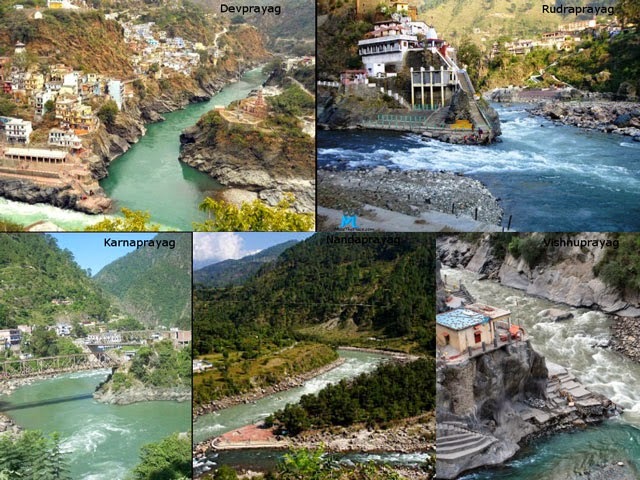 These confluences have been named Vishnu Prayag, Nand Prayag, Dev Prayag, Karn Prayag and Rudra Prayag. Panch Prayag is a sacred Hindu spot having its own mythology. Temples located in the confluences major spiritual highlights of Panch Prayag.